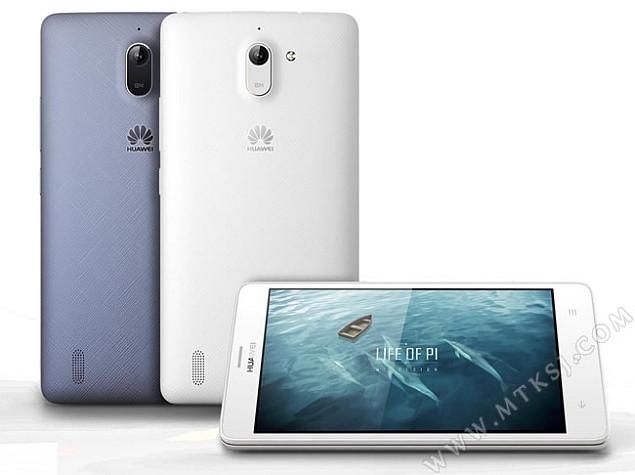 After launching a 64-bit processor-equipped phablet: Ascend GX1, Huawei has again come in headlines with a brand-new smartphone, which has been codenamed as G628. As per the reports of MTKSJ, this China based Multinational Company is prepping to commence its novel successor in marketplace of China in coming days. Apparently, informant has shared an image of mobile phone over cyberspace as well as some specifications have been also leaked before an official announcement. Discussing about G628, device has been claimed to be clubbed with a 64-bit SoC just like recently-announced: GX1. But, upcoming handset will incorporate MediaTek-made processor, which makes it dissimilar from its predecessor. Here, chipset will be labeled with a Model No: MT6752, which features eight 1.5GHz Cortex A53 cores. On imaging front, handheld will be outfitted with an 8-megapixel rear camera alongside a 2-megapixel selfie snapper. Touching the software front, device will run on Android 4.4 KitKat operating system with company's own Emotion 2.3 user interface, which will render a couple of attributes such as Child Mode and an ultra-power saving mode. It has been said to bear a 5-inch HD display that confers a pixel resolution of 720x1280p. The one more alluring part of mobile phone is its compatibility with 4G LTE networks and inclusion of dual-SIM card slots. According to Androidheadlines, Huawei G628 will be arrayed with 1GB RAM along with 8GB of internal storage, but there is no information about its maximum storage capacity. However, smartphone has been speculated to join the segment of mid-range phones with a price tag of CNY 1,000 that roughly translates to Rs. 10,000. But, corporation is yet to confirm pricing and listed specifications of its forthcoming scion, so we will have to wait for a while to get extensive details regarding G628.